Yes, is it Quilt Motion designed for Bernina? The 820 plugs into a little black junction box that should have been included with quilt motion, it has a phone jack outlet. If you are missing the quilt motion instructions, we have a copy also. Give us a call if you would like to come see the machine and frame. 717-354-0204. Thank You! 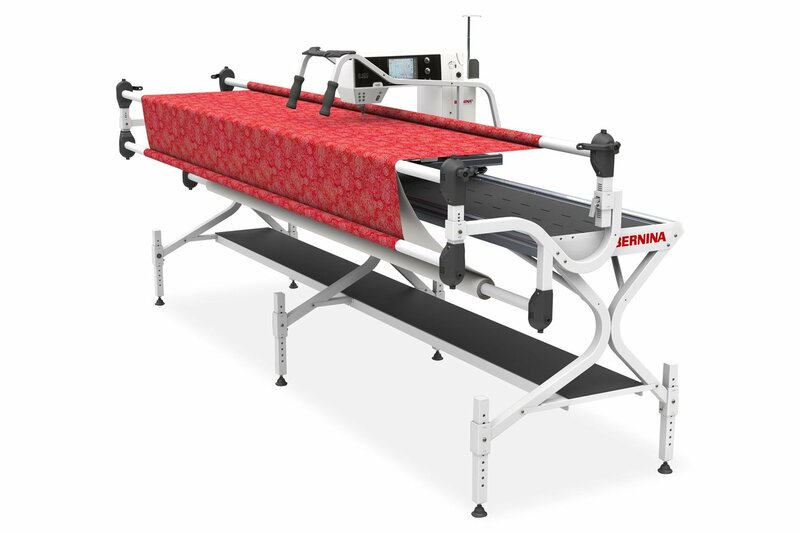 Hi, yes, right now we actually have a 10 Foot Bernina Quilt Frame (breaks down into (2) 5ft sections) with a Bernina 820QE Quilters Edition Shiny Black version machine with only 7 hours of usage. Price is $3495 for everything. We traded in a Juki 2200 QVP with Automation.....Quilters Creative Touch. We are asking $9,995. Please reach out if you are interested. Thank You! Did you end up buying a Bernina 790? My wife has one and loves it.....they are great machines. A few years ago Bernina had a great deal, buy a Bernina 790 and get a custom Koala Cabinet for free. We took the deal! Yes, still for sale as of today. I added new pictures for you, just scroll over as they are large. My email is tweid04@gmail.com Thank You! Can anyone tell me what these serial numbers mean as far as age? APQS George - B01508 - 1/5/08? APQS Millenium - 02763 Thank You! Hi, what is your zip code? I will be posting pictures later today. We can probably ship FedEx freight for a fee. APQS George For Sale - $2595. We think it is a 2007 model. Located in Lancaster, PA. Professionally serviced. Includes manual and bobbins and everything pictured. We can ship this for a fee.